The decision was taken by Sabarmati River Front Development Corporation Ltd (SRFDCL) as part of master city development plan, said an official. 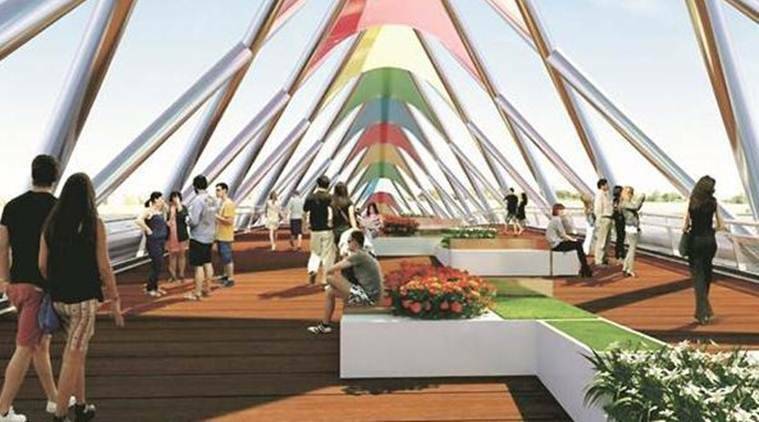 Ahmedabad is set to get an iconic foot-over bridge across Sabarmati river. The decision was taken by Sabarmati River Front Development Corporation Ltd (SRFDCL) as part of master city development plan, said an official. The 300-metre-long bridge will be located between Sardar Bridge and Ellis Bridge. Its width will be between 10 and 14 metres, with approaches from lower walkway. Built of steel, it will have three span and will cost Rs 74 crore. According to a SRFDCL official, the location of the bridge has been decided based on the fact that there are many public utilities on both sides of the river at that point. The bridge will be completed in one and half years.